Wayne Powell is a 1972 Phi Beta Kappa graduate of the University of Richmond where he also received his law degree in 1980. He is multilingual, and is fluent in Spanish and French, among other languages. Between his undergraduate and law studies, he received a Master’s degree in Spanish. Mr. Powell served as an Active Duty Army officer and Active Reserve Intelligence officer for 30 years. He began his military career in the First Infantry Division at Ft. Riley Kansas and was mobilized shortly after September 11, 2001. During the mobilization period, he was an active duty commander of specialized strategic intelligence troops before he retired as a full Colonel from Active Duty in June 2002. Mr. Powell began his legal career as a Staff Clerk to the Justices of the Supreme Court of Virginia, and then spent the majority of his more than 37 years of practice as a trial lawyer, qualified to practice before all Virginia Federal and state courts, as well as the Superior and Federal courts in the District of Columbia. He is also a member of the Bar of the Supreme Court of the United States. During the 1980’s Mr. Powell worked in state government as an Assistant Attorney General in the Criminal Division of the Virginia Attorney General’s office, and as a Deputy Commissioner of the Virginia Worker’s Compensation Commission, presiding over hundreds of trials involving worker’s accidents. Mr. Powell’s private practice during much of the 90’s included extensive litigation as a senior trial attorney defending major claims against corporations and individuals. 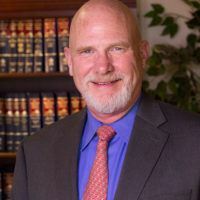 Since 1999, when he founded the Powell Law Group, he has represented criminal defendants, as well injured individuals in negligence cases and before the Virginia Worker’s Compensation Commission and the Washington D.C. office of Employment Services. The Powell Law group is the leading English and Spanish speaking law group in the Commonwealth of Virginia. To avoid a $5 fee, please register by Friday, July 6, 2018.